A speed limit is the maximum, legally permissible driving speed along a specific section of road under good road and travel conditions. Speed limits are used to regulate vehicle speeds. Who Sets speed limits in the UK? While the police are responsible for the enforcement of speed limits, the setting of speed limits is split between two organisations. 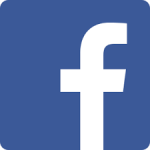 Highways England is responsible for setting speed limits on motorways and the trunk road network in England , while roads not covered by Highways England are the responsibility of the local highways authority. When setting speed limits the highways authority considers local circumstances and issues, and based on their findings decide on the appropriate limit for each road, which can be between 20-70mph. Speed is a major factor involved in road deaths and serious injury collisions, and speed limits are a tried and tested method of controlling driving speeds. • Actual and potential risks on the road are not always obvious or recognisable. • Drivers can make decisions about their speed without adequately considering the effect of their choices on the safety of other road users. • Drivers’ inability to judge vehicle capabilities (eg stopping distances) and to adequately anticipate roadway geometry and roadside conditions in order to determine appropriate driving speeds. • Driver misjudgement of the effects of speed on crash probability and severity. • The wide range of attitudes to risk within the community, with some drivers engaging in high risk behaviours, regardless of the consequences. • The safety benefits of more uniform travel speeds. 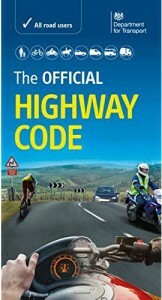 The Highway Code applies to England, Scotland and Wales. It is considered essential reading for everyone. It covers vehicle users and vulnerable road users including pedestrians, children, older or disabled people, cyclists, motorcyclists and horse riders. It is important that all road users are aware of The Highway Code and are considerate towards each other. This applies to pedestrians as much as drivers and riders. Many of the rules in The Highway Code are legal requirements; failure to comply with these is a breach of the law and may result in a fine, penalty points on your licence or disqualification from driving. In the most serious cases failure to comply can lead to a prison sentence.